One color that I don't use often, or even wear much for that matter, is ORANGE. I'm sure that you all, just like me, have many patterned papers in your stash that need to be used up. I decided to start using some of those older, neglected items. Really Reasonable Ribbon has the perfect ribbons, trims and embellishments to help you use up those items you've been meaning to use. I ordered some Really Reasonable Ribbon's beautiful ORANGE ribbons, trims and flowers to create these two cards. Both cards are quite similar. I alternated two OLD patterned papers that had orange polka dots on them, and machine stitched them together. 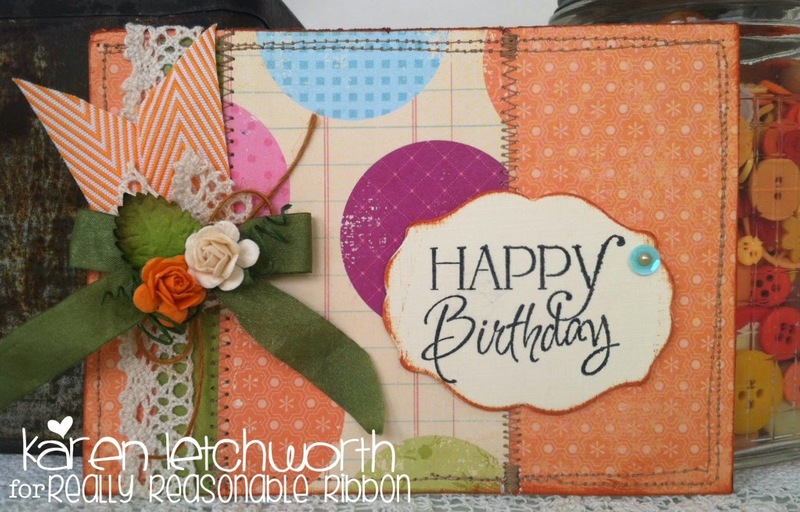 Next, I stamped a Happy Birthday sentiment on them and die-cut the sentiment spot. Then.....the fun part - the ribbons! 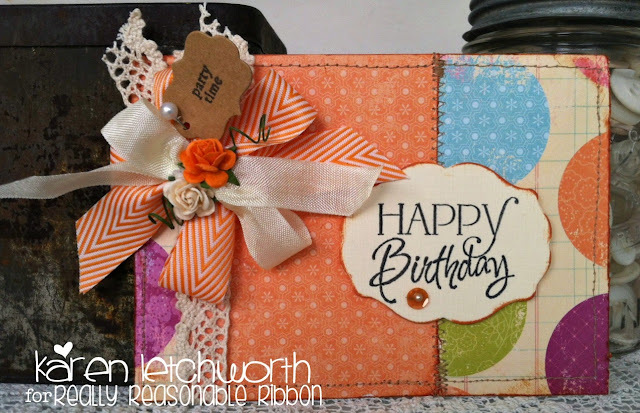 I used some lovely items from Really Reasonable Ribbon including their gorgeous (and super "on-trend" )3/4" Orange Chevron Striped Twill, Melissa Natural Crochet Lace, Cream Seam Binding and then adorned it with Deep Ivory Open Roses and Orange Open Roses. I also added a tiny little tag (party time) with a pearl stick pin and a sequin.